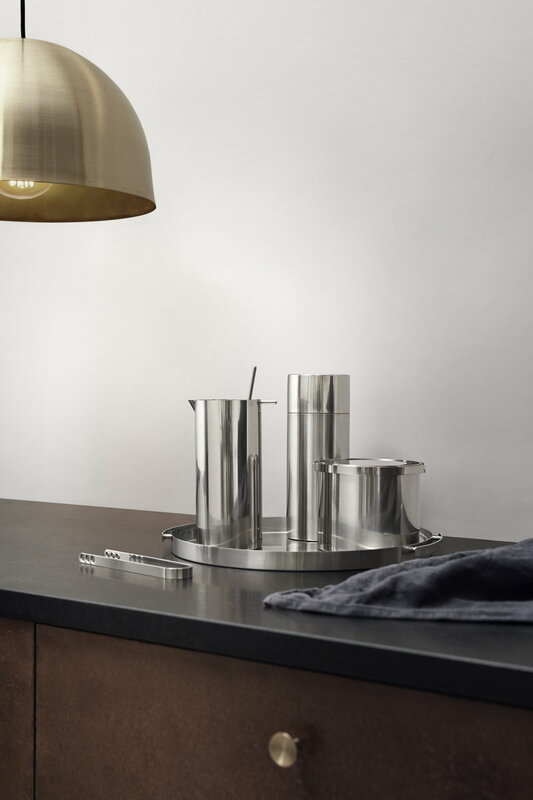 Arne Jacobsen martini mixer by Stelton is part of the Cylinda Line hollowware range from 1967. 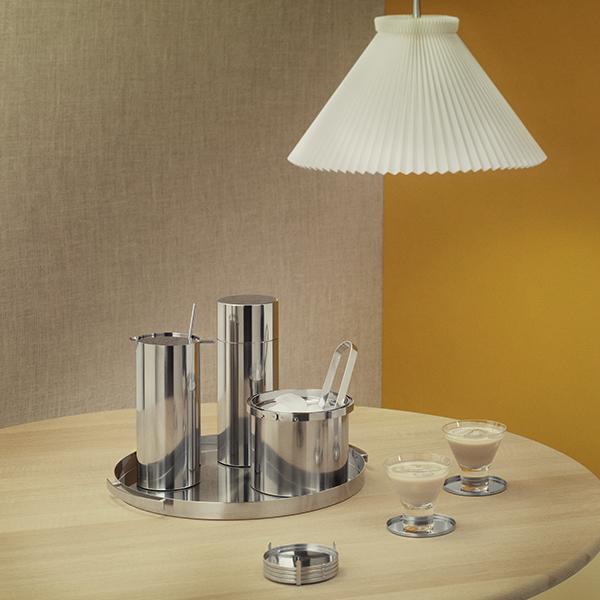 Since the very beginning, Cylinda Line has been an undisputed icon of Scandinavian design. Today, Arne Jacobsen's legendary range is part of numerous permanent collections at design museums all over the world. Cylinda Line is known for its understated beauty and utter functionalism – its design is based on different variations of cylindrical forms and every piece gains its own characteristics through slight alterations in design. Even though Cylinda Line range is a collection, its pieces work very well separately or mixed with other tableware. 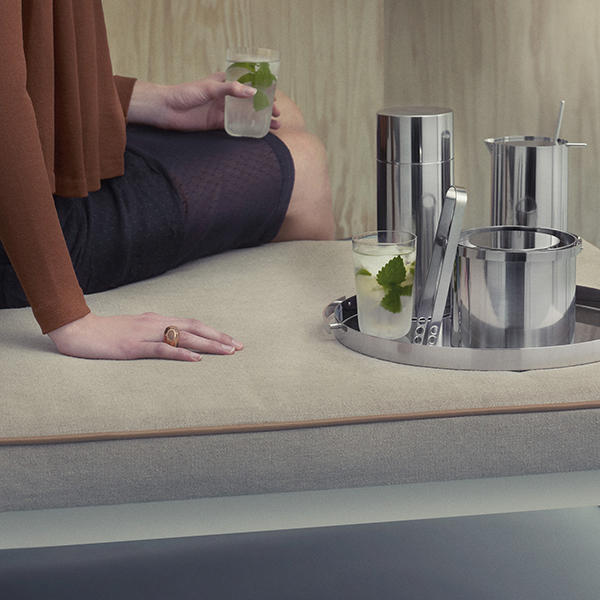 Cylinda Line includes pieces for complete tea and coffee set and all the essentials for your home bar. Arne Jacobsen (1902-1971) is the most celebrated post-war Danish designer and architect. He graduated from the School of Applied Arts in 1924 and from the Royal Danish Academy of Fine Arts, where he studied architecture, in 1927. Arne Jacobsen worked actively both as an architect and as a designer and received many prestigious awards for his designs, including C. F. Hansen Medal and the Grand Prix of Milan XI Triennale. Jacobsen’s most famous project was the Royal Hotel in Copenhagen (1956-1960), for which he designed every detail from textiles and lamps to cutlery and furniture. The AJ lamps, designed for the Royal Hotel and manufactured by Louis Poulsen, are a fine example of his streamlined and elegant style. The cutlery designed for the Royal Hotel and produced by Georg Jensen, represents a stylish design that is still today much praised. Also, the famous Egg and Swan chairs were designed for the Royal Hotel. As often happened with Arne Jacobsen’s designs, they were initially realized for a certain project and only later put into serial production – the same happened for the AJ lamps, the cutlery and the furniture he designed for the hotel. Royal Hotel was an extremely important project for Jacobsen because he could finally put his theories of integrated design and architecture into practice. 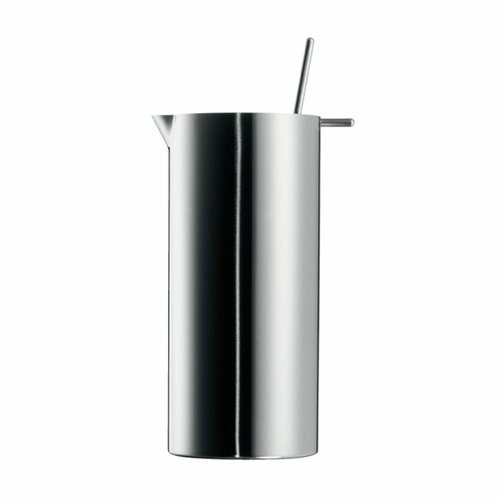 Jacobsen is well-known also for the Cylinda Line range, designed for Stelton in 1967. Since the very beginning, Cylinda Line has been an undisputed icon of Scandinavian design and today the range is part of numerous permanent collections in design museums all over the world.